Criminal charges in Queen Creek, Arizona carry harsh and lasting penalties. Even a misdemeanor conviction leaves you with a permanent criminal record that’s accessible to agencies and employers. When up against criminal charges in Queen Creek, Arizona, you should hire an Arizona criminal defense attorney that regularly serves Queen Creek and is familiar with Queen Creek’s criminal courts. Arizona Criminal Defense Attorney Timothy Tobin has practiced criminal law for several years. He provides clients with professional and aggressive criminal defense in Queen Creek cases. As a former prosecutor of Maricopa County, Mr. Tobin prosecuted cases from San Tan Valley, Gilbert, and Queen Creek. 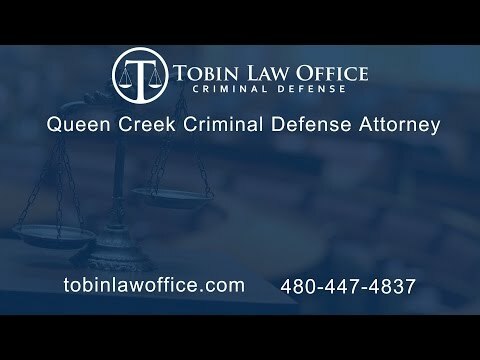 Defending San Tan Valley and Queen Creek cases regularly, Mr. Tobin is experienced and familiar with Law Enforcement Agencies, Judges, Prosecutors, and Courts that serve the town of Queen Creek. If you’ve been charged with a misdemeanor in Queen Creek by Maricopa County’s Sheriff’s Office (MCSO), or Arizona’s Department of Public Safety, your case will likely be heard in the San Tan Justice Court, which serves the majority of Queen Creek’s jurisdictional boundaries. If you were charged by the Pinal County Sheriff’s Office, you case would likely be heard in the Apache Junction Justice Court. Jurisdiction: Covers San Tan Valley, Apache Junction, and Gold Canyon. The Maricopa County Sheriff’s Office in Queen Creek serves as Queen Creek’s contracted police department. There are police officers, detectives, and supervisors that are specifically assigned to the town of Queen Creek. If you were arrested and processed in a Queen Creek criminal case, you were likely brought to MCSO’s District 6 Queen Creek Substation. Tobin Law Office Provides Experienced and Aggressive Criminal Defense in Queen Creek, Arizona Criminal Cases. When faced with criminal charges from Queen Creek, Arizona, it’s unwise to represent yourself. Arizona’s criminal laws are complex and unforgiving. When representing yourself in a criminal case, you’ll find yourself up against trained prosecutors, judges, and police officers. The government has the goal to convict you without concern to your personal circumstances. From experience, Mr. Tobin will tell you that prosecutors and judges are not there to protect your interests, but instead, see you as a number in a long line of convictions. If you’ve been charged with a crime from Queen Creek, Arizona, you should hire a criminal defense attorney that’s familiar with Arizona Law, as well as the Courts and Agencies that handle Queen Creek criminal cases. Transparent Flat Rates and Payment Plans: Tobin Law Office provides clients with affordable flat rates in Queen Creek cases. There are no surprises or hidden fees. You’ll know the cost upfront. Former Prosecutor: Attorney Timothy Tobin was a prosecutor for Maricopa County. He specifically handled cases arising out of Queen Creek, Gilbert, and San Tan Valley. 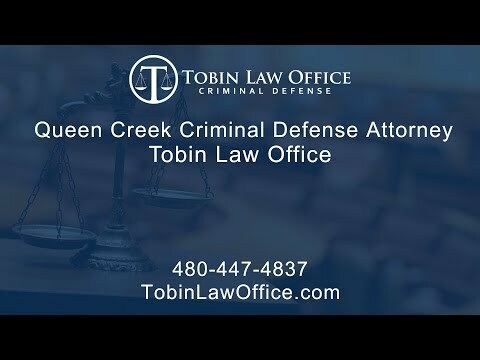 Experienced in Queen Creek Cases: Practicing in the San Tan Justice Court and Apache Junction Justice Court regularly, Mr. Tobin provides experienced and dedicated criminal defense for cases arising out of Queen Creek, Arizona. Personalized Service and Excellent Communication: Mr. Tobin handles every aspect of the case. His clients don’t need to go through secretaries, clerks, or support staff for case updates, questions, and service. Clients have Mr. Tobin’s personal cell phone and email for easy access and quick communication. Free and Confidential Consultations: When you contact Tobin Law Office, you’ll be connected with Attorney Timothy Tobin to discuss your case. Mr. Tobin will review your case with you in detail. He’ll also answer questions to reduce the stress about your future. Thank you Tim and your staff!